Implementation activities are grab bag of business services. Each is a scalable tool to target an outcome. The services are designed to: provide the organisation with non-core skills as part of a change process, augment staff skills with specialists, provide additional resources during periods of overtasking. The skill level typically ranges from the executive level to the Board. Learning systems development and management should (for productivity) be integrated into the HR and performance management platforms. It is generally a software application but with productivity implications across the business generally including: salaries, misaligned with organisational performance requirements or work level standards, packaging inconsistent with work release. Part of DTD’s expansion from an RTO to an ISO 9001 certified system (Management, Change Management, Training and Assessment) was in recognition of the multiple learning pathways and the need of organisations to nuance their systems to improve organisational performance. Prior to each commission, we engage with the client to understand the value-for-money business case and our contribution to the successful outcome.In this way a cost effective solution can be developed. Following review of the client brief, DTD’s approach to test the organisation’s assumptions and constraints and then develop a range of feasible options. Stakeholder consultation often involves focus groups, mentoring, and scenario (assumption based) planning. The socialisation of the plan is designed to develop a shared understanding of the need and development of the change plan that may include knowledge transfer, mentoring or assistance with aspects of the implementation. Following the analyse phase, Design and Development services are focused initially on meeting a skill-gap with the most practical approach to workplace success. A key focus is learner engagement (avoids presenteeism). DTD Approach is to review the organisational performance requirements to determine the relevance and during the Design Phase produce a mandated learning and assessment evaluation plan along with a set of draft Learning and Development solution products that integrate with the strategic organisational results Then workplace application of learning includes the best value-for-money outcome based upon relevant factors. The Development Phase produces the set of products and are selected based upon the next most important task requirements. Depending upon the skill-set the pilot course is normally undertaken by an experience practitioner to allow a adaption of the training material during the activity component of the course. Evaluation services are designed to assess the effectiveness of learning contributions to productive outcomes. These can be conducted at the: organisation, functional, workplace or cohort generally. Following review of the client brief, DTD’s approach to determine the most appropriate evaluation type to assist in measuring organisational performance. For organisational evaluations these are typically conducted by an integration specialist. Context evaluation are likely to be conducted by a domain specialist. Change quicker than personal adaption often happen in parts of the organisation. Often people are re-roled and their sense of purpose is questioned or affected. This often creates elevated human stress, reduced service provision and if left untreated causes workplace churn. DTD offers professional body certification services to, if required promote self confidence, understand any real or perceived gaps for the new role. In part the conversation provides an appreciation of work value. DTD provides project and change related certifications. We also have a working level understanding of other industry standards including management, engineering and HR. DTD staff are involved with professional bodies. This allows DTD to understand the standards and industry good and best practice. A facilitator is someone who helps groups make social progress. In effect facilitators: plan, guide and manage. At DTD we ensure that we have sufficient subject knowledge to work with the key stakeholders to understand how they intend to reach their objective. As facilitators we then plan how to bring out the information. The plan then involves a combination of selecting the right people to attend, the environment, any preliminary and post activities to support the outcome and finally the sequence of events and process methodology (and activities). At DTD, all facilitators have formal qualifications and have managed over 500 facilitation days so have honed their craft in public meetings, Board strategy setting, culture setting, projects, change affected groups, team building, and conflict resolution. Mentoring is a relationship where a more knowledgeable person helps to guide a less experienced person. Most people have sufficient underpinning knowledge and experience for most of their role. However, there may be important tasks with a high degree of latitude, or a requirement for a temporary assignment in another role (supervisor, key function) or a requirement to build organisational resilience. At DTD we ensure we understand the mentoring purpose, the environment and also we have an affinity with the mentee. Once established we use a range of tools including: discussion, demonstration of tools and systems that can be employed, use of forecasting models so ‘what if’ scenarios can be undertaken to build experience in a safe environment. The purpose of these three approaches is for mentees to nuance triggers and waypoints in workplace activities. Change management are people-centric activities to transform an organisation towards achieving its strategy or a business outcome. Change can be generated as part of strategy or by a disruptor. DTD’s approach is initially to assess the organisations readiness for change against the PIs. If required the impediment removal and particular actions that expedite change are explored. A change plan is produced with metrics that predict (leading indicators) and measure (lag indicators) progress. During the change process information management is important for engagement and ongoing support. Reports to the steering group on the causes of progress are provided to identify causal issues as organisational wide change also involves other projects (business platforms, business services etc). Project management is the initiation, planning, executing and closing an activity to achieve specific goals in support of a business outcome or strategy. For complex, complicated or first-of-kind (for the organisation) projects, DTD’s role is to establish a the fit of the project within the organisation. This often involves project governance, project context, any advanced project practices such as influencing, leadership skills and organisational change. Anybody can create the plan, but DTD is able to articulate the effect it will have on the organisation. We are able to align and then optimise the plan to nest its contribution with the other initiatives that are included in the PI; for a more productive outcome. Organisational work plans can be used in programs or service delivery organisations. This is a document that sets out how the manager will meet their reporting against PI’s. It considers the time available, relative cost of resources, value of tools and systems (needed for environmental scan), compliance and risk-adjusted requirements. DTD is able to establish these plans so that management is able to recommend potential improvements based upon agreed PIs. The workplans, normally a year, are then able to be aligned to the first business planning horizon to determine any upskilling required in the current year. For the second business planning horizon key people are identified for succession planning. This is likely to involve experiences beyond other workers including: special projects, work placements, coaching or mentoring or another form of professional development. This is designed as a leading indicator for strategy realisation, organisational sustainability, resilience or reducing corporate risk. Human factors is a broad term used to describe how humans interact with other parts of the system. It seeks to understand how productivity may be enhanced through physical and psychological interactions with their environment, work requirements, culture and values. At DTD we offer services in human factors to support well-being (reduce presenteeism & absenteeism) and promote WHS to improve productivity. DTD creates a value proposition for organisational costs that include, amongst other elements, cost of employment, service level expectations, cost of prevention measure (e.g. RSI), return to work costs and compensation. Collectively this assists supervisors and all level managers to understand a workplace discussion with an individual in a larger context. Negotiation is a discussion aimed at reaching an agreement. Most experience, rather than expert negotiators are anchored by blindspots. Blindspots may occur from neural, cognitive or behavioural traits. DTD initial activities focus on cultural and emotional awareness. For the most effective results this occurs prior to any actions (e.g. in tender prior to release of the request for tender). Once the negotiation SMARTs contribution to the PIs is understood, the content and process trade-offs of potential counterparties can be assess to understand the preferred counterparty characteristics and method of engagement. DTD uses a range of tools, including a Johari window, to understand information requirements for an agreement and how these will be achieved in the process. 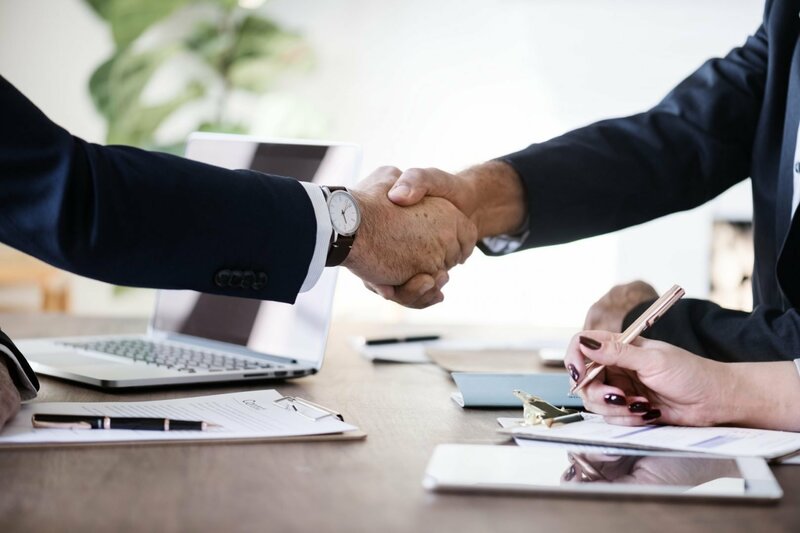 DTD can develop a negotiation plan for roles, practice people in behaviours and importantly seek and release information in a planned manner so that agreement can be reached in line with the business objective. DTD then provides training in the range of likely scenarios providing feedback on effectiveness including language (body and verbal), presence (absence), messaging, sequencing etc. Following the training individuals are able to identify key moments and patterns. The agenda is then created. If required DTD staff are available to conduct or support negotiations. Following the face-to-face sessions, DTD adjusts (not often due to the counterparty cultural assessment activity) the negotiation plans to optimise the value-for-money for the organisation. If required DTD works with the legal team on specific wording to record the negotiations. Following conclusion of the agreement (meeting of the minds), DTD works with the new team to inculcate the culture for success (delivery of the business outcome). Learning analysis is the analysis of learners and their context for the purposes of optimising human factors associated with productivity. The analysis can occur at one or more of the four levels: organisation, function, workplace or cohorts. Organisational performance requirements are analysed and specified. Depending upon the level of definition, the input analysis seeks to establish whether analysis is required and its nature. The critical activity in this phase is understanding the nature of performance standards to optimise the relative costs and benefits of each option. This is supported with a systems approach that allows for a change control strategy. DTD’s collaborative approach provides a detailed project plan for every commission that includes: client, DTD and other stakeholder contribution to the outcome, so risk mitigation ensures a value-for-money solution. Training delivery encompasses coaching, mentoring, on-the-job training, e-learning, micro-learning, blended learning, gamification, simulation and face-to-face. DTD specialises in boutique training targeted at productivity measures. We also provide a service in assessing training course alignment for organisational requirements for the mass-training market. DTD specialised training includes: Governance and Board responsibilities; Understanding yourself and others; C-suite and Senior Executive Management skilling around portfolio, program and change management along with performance frameworks, sponsorship and risk integration. For implementation activities we also establish and train cohorts in: performance management, negotiation, understanding yourself and others, procurement and contracting, third party impacts and agreements, project and change management, business analysis, business cases, business continuity planning, Privacy, aligning security systems to business systems, personnel certification systems, developing assurance plans. We deliver training for any training that targets and measures productivity improvements. Competency assessments are focused on effective and efficient workplace performance. DTD determines the most appropriate or competency assessment standard or standards based upon a work function. Without due consideration, productivity losses often occur because of consequential activities, cost shifting, compatibility with organisational goals, business continuity or security loopholes. Additional costs may also occur due to off-site training and certification and re-certification. 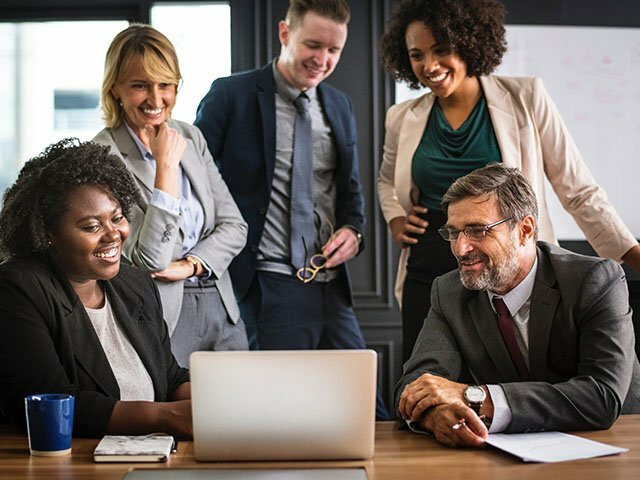 Following endorsement by the client, DTD works within individuals and workgroups to assist them in demonstrating their evidence in an efficient manner so there is minimal unproductive time in the workplace. Continuous Improvement services is the ongoing effort to improve products and services. Typically systems are fixed (and don’t improve) or correct deficiencies. Few systems are designed to proactively improve to meet change outcomes or strategy implementation. Continuous improvements services are used to lead change. DTD’s approach to the continuous improvement is to develop messaging to engage people in the process. Whilst the larger improvements will have been identified, stakeholders at all levels understand requirements around rate of change, third party systems integration and flexibility requirements. During the continuous improvement an initial benchmark is developed with increments aligned to SMARTs (inputs and outputs). This assists in optimising the relative costs and benefits against PIs. DTD’s collaborative approach provides a detailed project plan for every commission that includes: client and DTD contribution to the continuous improvement along with knowledge transfer. Coaching supports a person with a specific personal or professional goal. Depending upon the situation DTD offers formal coaching (includes an agreement) or work-based to achieve a task. The formal coaching agreements tend to be around personal development in the workplace and may include neural re-patterning (thinking styles), behaviours, traits, emotional intelligence or an issue identified on a performance appraisal. Portfolio management needs to balance competing requirements over time horizons. It requires cognitive and behavioural traits to analyse and prioritise programs and project, allocate critical resources and articulate causal links and then delegate appropriately. The key productive outcome is the optimisation of internal resources to deliver outcomes. At DTD we assist portfolio managers with a range of tools including establishing the KPIs, PIs, delegations and SMARTs to deliver the strategy. We also provide the governance training along with the establishment of sub-ordinate meetings and their terms of reference to create the organisational alignment. As part of the continuous improvement we refine the tools and consequently tolerance levels within the risk and opportunity matrix to provide nuance portfolio performance. Program management is ensuring that a group of related projects is managed in a co-ordinated manner with the intention of improving organisational performance. DTD establishes the ‘related’ elements are addressed at the program level to ensure visibility of the aggregation of common activities and risks. Also appropriate staff and resource levels are assigned to optimise the program. Standardised templates and risk profiles are developed for project staff. As organisational maturity increases less resources or less-skilled resources can be used to improve productivity. Business continuity is the ability of an organisation to maintain essential functions during and after disruption. Disruption may occur through natural disasters, supply chain vulnerability, nefarious activity, of unknown vulnerabilities of internal systems. DTD services include risks affecting the business impact, incident response services including transition of essential services and a recovery plan containing the incident response and normal operations. Normal operations normally requires services of specialists (e.g. engineers, certifiers) outside normal operations that require information. Business continuity services may shape the strategy for: business architecture, locations and stockholdings. Each of these activities requires understanding of the value of a contingent risk on the return-on-investment. Individual workplans should be traceable and aligned to the strategy and business outcomes. For those in a service delivery role capacity utilisation above 85% of work time is targeted. For first level supervisors above 70% is a baseline. The remaining time of 33 and 60 days respectively is able to be optimised through developing training, work-life policies, culture and team building activities. For workers this is addressing impediments for service delivery and ensuring engagement (avoiding presenteeism – at work but not productive). For most workplaces that have token performance management, presenteeism levels are usually around 32 days per year for all workers. It surprises many organisations without KPIs, PIs and SMARTs that on average 65-90 of the 220 working days per year are unproductive (around 30% of the organisation’s employment cost – salary plus employment costs such as superannuation, sick leave, office space, equipment, licencing, percentage of compensation, return to work etc). DTD firstly aligns the roles with work level standards, SMARTs and PIs. Once the framework is established it is benchmarked against the relevant good and best practice. Privacy is assured as information is aggregated (keystrokes, pass access etc). The cost of each PI is calculated and a value discussion with the senior executive assists in proofing organisational workplans. For organisations that do not share our values, the commission is normally terminated at this point. For those that continue increases in productivity (for human dominant workplaces) are achieved through having an understanding of the value of each staff members contribution to business outcomes. Organisations are connected through the procurements that created counterparty and often by default third-party relationships. This often creates contingent risks that are not accounted for in strategy documents. DTD services commence with the alignment to PIs and SMARTs to initially identify unacceptable risks. Policies are then developed and implemented to avoid these risks. For those risks that are acceptable but significantly affect productivity and need to be treated a range of measures is developed that may include: change to bring these services into core business as part of the organisaton; insurance policies; contract clauses that require active management on behalf of both parties amongst a range of actions. At a more benign level are transactional procurements for first-of-kind (for the organisation) activities including procurement plans, tender plans focused on changing risk and power relationships due to contract, commercial and scope of services interactions. DTD also provides masterclasses for specialist procurement staff.